The implementation of the laboratory information management system has changed various outlooks of the modern laboratories. The quality of the medical records has improved with the time saving and cost saving aspects. 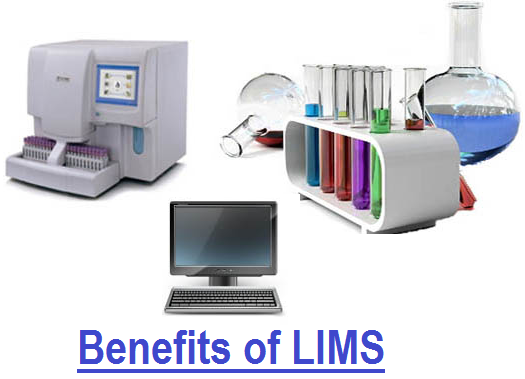 The LIMS software can prove to be beneficial in different aspects. Now, let us discuss some of the Top Ten Benefits of LIMS. Productivity can be increased with the proper analysis and the tracking of the specimen. The system can be improved without hiring additional personnel for your lab. The reports of productivity, which can be generated in a regular basis, can help the managers to track the turnaround time. The analysis which is completed within per unit of the time can also be monitored. The number of samples, the expired samples and the exceptions can be tracked. The routine tasks can be scheduled like the sampling, analysis, maintenance tasks, instrument calibration etc. to adjust the volume of the samples during the peak time. When the tedious tasks like the paper handling can be managed by the software itself, the technician can focus more on his quality of delivering the service. As the software provides with a quicker implementation process, it can minimize the disruption of the existing practices with a reduced training cost. The full system software can customize the source codes for suiting the requirements. The data can easily be shown through a read only version to the personnel outside the labs. Direct interaction with the system developer is also possible if downtime or any other issues occur. All the essential data are required to be entered once, so that they can be retrieved for the future uses. The lost information can also be retrieved through the search tool and the misfiling of data can be avoided by eliminating paper records. Reports can easily be generated with the help of few clicks in the mouse. The flexible and detailed invoice system is also available through this software. The errors that are generated from the data transcriptions and the manual data entry, can easily be avoided with the help of this software. The process can allow the technicians to check the data input errors by enforcing the validation protocols in various fields. The deadlines can never be missed through the proper scheduling methods. The quality control limits can be set by the lab managers through analytical or instrument calibration methods. The control charts can be updated and maintained as and when required. A proper security can be maintained through the control of the accounts by the lab administrators. The ongoing lab operations can be protected while customizing the changes with the software. Through the audit trail of this particular Software, the database tracking can easily be done. The initial and the revised values will show their importance and when the revision process can take place. The reports can be configured to meet the requirements of the customers according to their individual needs. The customers can be notified about the status of the report. Through the email or fax, the customer can easily know when a sample is being analyzed, when it is going from one workstation to the other, and when it is finally available for the delivery. Conclusion: All the above-mentioned points can be considered as the Top 10 Advantages of Implementing the Lab Information Management System Software (LIMS) for improving the activities of your lab. It can also help in delivering clear and concise reports to the customers with the invoice after the analysis has been done successfully.